Writing a research paper is one of the most difficult tasks you may face in your life. At times, you will have to write a research paper on a topic provided by your teacher. At other times, you will have enough freedom to choose the topic on your own. In any case, everything starts with a topic. You cannot proceed with writing your research paper, until you know what you are going to discuss and describe in your work. When you have chosen the most suitable topic for your research paper, you will need to do some research. Talk to your teacher and find out how you can best approach this task. It is an extremely important part of your research paper. You definitely need someone's professional advice. It may happen that your teacher will disapprove your topic, so make sure you clarify all issues before you are too far into the process of writing. Now when the topic is approved, develop a comprehensive research question. Writing a research paper without a research question is the same as writing an essay without a thesis. This is one of the key points, main elements of your research paper. The most typical format for a step-by-step research paper is known as IMRAD. It is a shortening for the main constituent parts of a research paper, namely introduction, methods, results, and discussion.Below you can see a general outline of the research paper structure in a step-by-step research paper writing guide. Use the words "how" and "why" to develop research goals and create a strong thesis statement. Now you can focus on doing research. Use only the most reliable, valid sources such as peer-reviewed journal articles and books. You should also use credible websites. As you are reading through your sources, make notes and use them to develop an argument. Take evidence from your sources and use it to support your thesis. Do not forget to cite and reference your sources. Do not ignore opposing viewpoints. Write several drafts, look through them, edit and review your paper before you submit it. Go throught our helpful guide and you will see that developing a research question and setting research goals is not that difficult. 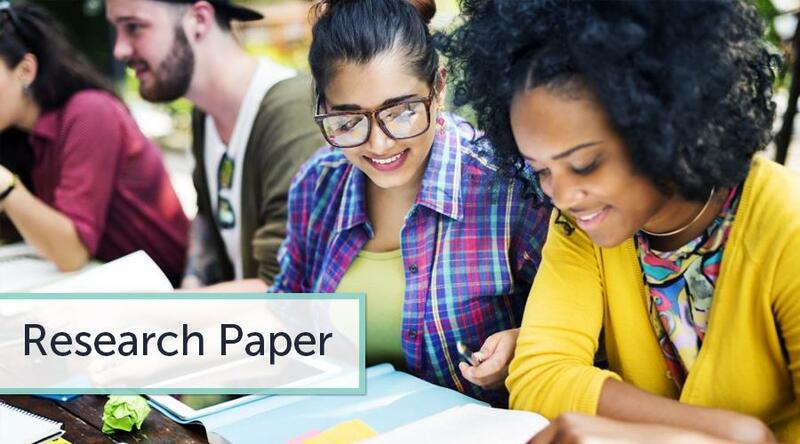 You can become a pro at writing a research paper, if you know how to follow a proper research paper format. This being said, you must use academic or scientific language, be accurate and concise in your statements. Be ready to justify your approaches to studying the issue of your choice. Do not underestimate the importance of quality sources. Do not use any data that are confusing, outdated, or non-credible. Use scientific terms, but do not overload your paper with terminology. Reference and cite your sources correctly. The main thing to remember is that you do not have to fill your paper with unnecessary information simply to meet the word count requirements. Also, you do not need to be too general or make writing a conclusion for a research paper based on irrelevant information. Finally, do not make a serious mistake by simply rewriting the original source. Analyze and cast a critical eye on every source you use in your research paper.